This nonfiction book is only available in used bookstores, but if you're in the HVAC business, you'll be fascinated by how mechanical engineers developed modern day heating and cooling systems. "I literally couldn't put it down. Previously obscure details of home heating systems became crystal clear and I made little noises as these revelations dawned." 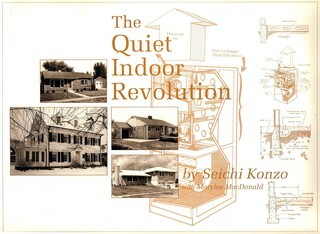 "If you're interested in old homes and the history of technology, you will find it fascinating." No one likes to enter a building and smell gym clothes, garlic, or smoke. How much fresh air do we need inside our buildings and how does ventilation affect our comfort? To find out, Dr. C.P. Yaglou of the Harvard School of Public Health conducted one of the first definitive ventilation tests, tests that gave us the ventilation standards that became embedded in our building codes. Yaglou's mode of attack on the question "How much Fresh Air is Required for Ventilation?" was simple and direct. He was brave enough to place his nose at the outlet of a tight enclosure in which a human "guinea pig" was seated. His nose measured the sweetness of the air leaving a box that measured roughly 3 x 3 x 11 feet. Although inferior to the capabilities of the plain hound dog, the human nose is one of the most sensitive instruments for detecting odors. When the flow rate out of the enclosure was high, the odor was not perceptible. As the flow diminished, the signal changed to "Wow," and finally to "Holy Cow." Yaglou's data showed greater fresh air requirements for a roomful of grade school children, an idea with which many grade school teachers of that era would have agreed since daily baths were not the vogue in all homes. One series of tests showed that fresh-air requirements were greater when intervals between baths increased. One high school reported that instead of installing a larger vent fan and incurring greater electrical costs, it had instituted compulsory physical education for all students, followed by compulsory showers.